The winning presentation for Lauren Hough and Ohlala with ringmaster John Franzreb, Bridget Love Meehan of WIHS, and WIHS Youth Ambassador Katie McCoy. Photo by Shawn McMillan. The 2016 Washington International Horse Show CSI4*-W hosted it’s third day of equestrian competition at Verizon Center in downtown Washington, D.C. on Thursday, October 27. USA’s Lauren Hough and Ohlala were the winner in the $35,000 International Jumper Welcome stake, presented by CMJ Sporthorses LLC. Another win for the USA went to Laura Kraut riding Andretti S in the $35,000 International Jumper Accumulator Costume Class, presented by the Gochman Family. In Thursday’s $35,000 International Jumper Welcome Stake, presented by CMJ Sporthorse LLC, course designer Alan Wade (IRL) set for 29 entries with seven clear rounds over his first round track. Callan Solem (USA) and Horseshoe Trail Farm LLC’s VDL Wizard chose not to return for the jump-off and finished in seventh place. David Will (GER) and Centin Güngor’s Cento du Rouet were first to go over the short course, finishing fifth with four faults in 34.67 seconds. Alison Robitaille (USA) and Bertram and Diana Firestone’s Ace were next to go, jumping a double clear round in 38.00 seconds to eventually finish third. Shane Sweetnam (IRL) and his own and the Blue Buckle Group’s Cobolt dropped two rails in 36.94 seconds to end in sixth place. Next to go, Amanda Derbyshire (GBR) and David Gochman’s Lady Maria BH were double clear in 37.92 seconds to take a brief lead. Laura Kraut (USA) jumped into fourth place with her time of 38.54 seconds riding St. Bride’s Farm’s Confu. Last to go, Lauren Hough (USA) and The Ohlala Group’s Ohlala clocked the winning round in 35.27 seconds. Hough first partnered with Ohlala, a 12-year-old Swedish Warmblood mare (Orlando x Cardento), five years ago and last competed at WIHS in 2012 when the pair won the $32,000 International Open Jumper faults converted class. At that time, Hough had been riding Ohlala for just one year and was stepping the mare up to the grand prix level with high hopes. Ohlala has since lived up to great expectations and won major classes all over the world. The pair will compete in Saturday night’s $130,000 Longines FEI World Cup™ Jumping Washington, presented by Events DC, so Hough did not want to take too much risk in the jump-off. Hough is based part of the year in the United States and part of the year in Europe. Being back at WIHS after several years, she has enjoyed the competition. “I love America, and I love riding here. I am very lucky to have the opportunity to compete all over the world and be based in both places, but it is always really special to be back in America in front of a home crowd,” Hough acknowledged. “This is a great horse show. In the nighttime they get great crowds, and to be in the middle of D.C. is something special. I know they try really hard, and I like to support good American shows. The $35,000 International Jumper Accumulator Costume Class, presented by the Gochman Family, was held on Thursday evening during the show’s always-popular Barn Night, presented by Dover Saddlery with the generous support of The Peterson Family Foundation and National Harbor. Local young riders and horse enthusiasts attended in groups and had the chance to enter contests, win big prizes, and enjoy a fun, horse-filled evening that included the WIHS Shetland Pony Steeplechase Championship Races, presented by Charles Owen, and internet sensations Dally & Spanky. Laura “Little Red Riding Hood” Kraut and Andretti S. Photo by Shawn McMillan Photography. Ann Geisler Memorial Trophy, donated by the Washington International Horse Show, as the winning horse. “He has been really good. He started out the year fantastic in Florida,” Kraut detailed. “Then we had an accident; he fell at a water jump, and it took him a little while just to get his confidence back. He never did anything bad, but he just was nervous. Sort of starting at the Gold Cup he has gotten better. He always seems to like that show, and he has been going well again, and he has been very consistent. Second place honors went to Catherine Tyree (USA) riding Mary Tyree’s Bokai with a score of 65 in 45.15 seconds. Amanda Derbyshire (GBR) and David Gochman’s Luibanta BH finished third with 65 points in 45.50 seconds. Andrew Kocher (USA) earned a perfect score of 65 as well riding Eagle Valley Partners LLC’s Ciana, and finished fourth with his time of 51.63 seconds. Kocher and Ciana then earned the Best Costume Award, presented by Equestrian Sport Productions, for their impressive clown attire. Andy “Clown” Kocher was presented with the Best Costume Award, sponsored by Equestrian Sport Productions. 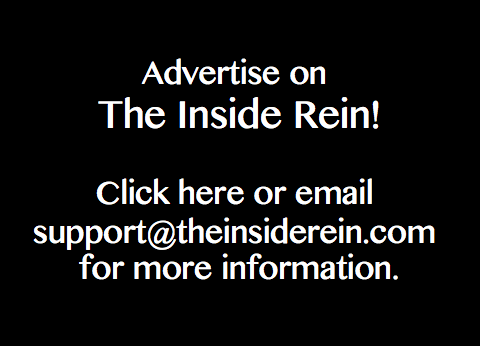 *The Inside Rein is heading to D.C.! Be sure to follow our live updates Saturday night on Twitter @theinsiderein.